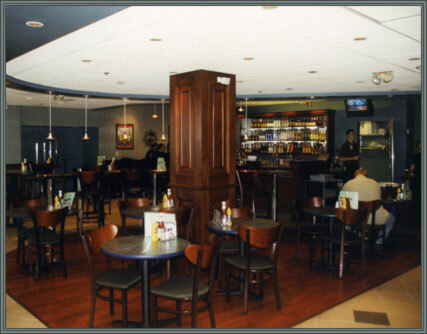 This restaurant is located in the Portland Maine Jetport inside the terminal. 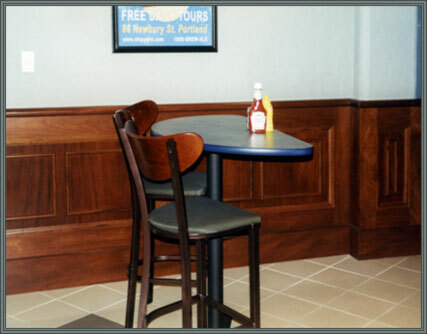 Central Maine Cabinetry was required to pass rigorous security and background checks prior to beginning this job. 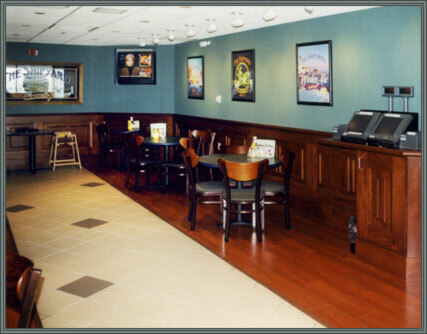 An elegant stained mahogany finish and attention to detail are just some of the reasons that this extension of the Shipyard Brewery has received favorable reviews in the category of atmosphere.